I've been to a handful of cities in China. Some of them I've managed to record down into either my blog or personal journal. While some, they've pretty much gone to waste. Shouldn't have done that. 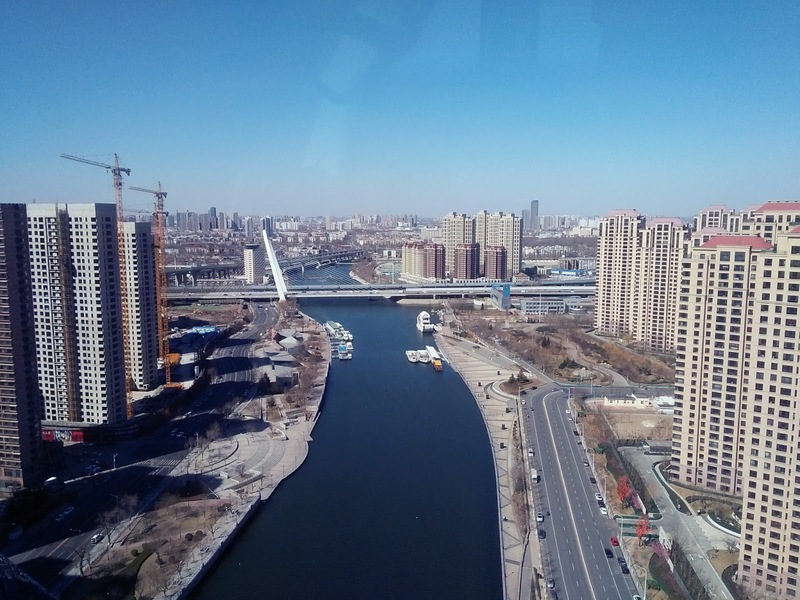 Just few weeks ago, I had the chance to squeeze in a trip to Beijing and Tianjin. Wasn't that long, only for a week. I went with my mom. And if you had been following my old posts, probably around two years ago, you would notice I had taken her to Guangzhou. It was a fun trip, just being alone with her made everything memorable. But hey, let's save that story for some other time. 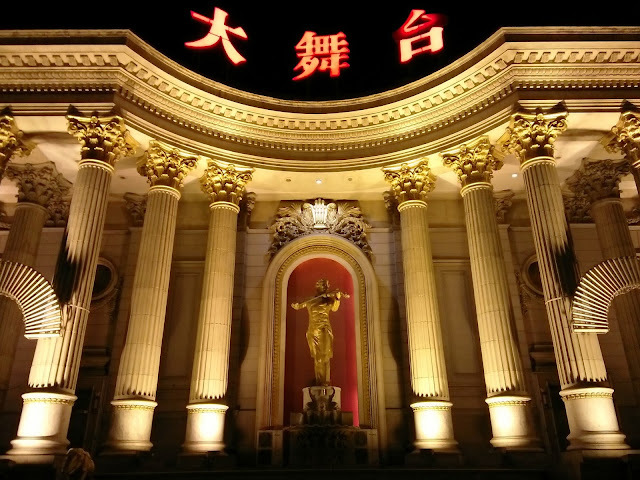 This post is all about how I remember Tianjin. Tianjin is the fourth largest city in China, after Shanghai, Beijing and Guangzhou. It shares the same border with Beijing at the southwest direction. This city is well-known for its European-style buildings and mansions. And if you searched the city in Google or Wikipedia, you would realize the articles mostly shared about the ancient war, and how Tianjin had become the gateway for foreign navies into the land. Hence, the culture remains till these days. During my study in Beijing, about 5 years ago, I had plenty of friends who'd traveled to this city and came back on the next day. At that time I wasn't so keen in exploring other places, Beijing itself had made me overwhelmed. Also, financial issue was part of the reason. The feedback I got from them were either relaxing, or beautiful. Of course, I didn't understand what they meant by that. So, since I've established my own income now, I figured probably it was time to find out more about it. If I were asked to describe Tianjin in few words, I would choose these - Calm, smooth, inexpensive, friendly, clean, vacant. This city, was somehow, noiseless. Everywhere we went, there wasn't any car honking, people shouting, security audio playing aloud, sellers promoting. Walking down the street had literally felt like we were in another country. And it got even better near Hai River. I wasn't really sure if it was because of the season or weather, but the traffic was insanely smooth. We stayed near the outskirt, but getting there from city center by taxi took us less than 15 minutes. Part of common sense when traveling to large city - everything you see is expected to be pricey. But you now what, we got ourselves a satisfyingly large hotel room that cost only RMB 250 a night. And the meals, they cost us roughly RMB 30 for each person, even in the city center. Both of us first landed in Beijing before traveling to Tianjin by train. Hence, the difference we had seen on the warmth of locals between these cities was huge. Every taxi or restaurant we got into, was greeted by huge smiles and overly hearty chats. The cleaners here had done their jobs right. No littering on the sidewalks and perfectly clean river. Which might be caused by my last point. Where are the people? Why did I constantly bump into elderly or older adults? Where were the kids? Or teenagers? Night life here was a complete turn off. Don't get me wrong, though. I had a peaceful stay, but three days was too long. My suggestion for you guys out there, cut it to one day, or two utmost. Enjoy your trip , kids!